Home » SKIING WITH CHILDREN: Are Catered Chalets the Best Family-Friendly Holiday Choice? SKIING WITH CHILDREN: Are Catered Chalets the Best Family-Friendly Holiday Choice? When travelling as a family, finding the perfect accommodation can be tricky. Whether it’s catered chalets, self-catered apartments or fully serviced hotels, there’s a wealth of choice out there and family preferences will differ. However, we think that more often than not, catered chalets are the best family-friendly holiday choice. One of the most difficult aspects of a family ski holiday can be the control and flexibility that is lacking when travelling to a hotel or an apartment. Firstly, you need to find a hotel at a reasonable price, with a good location and enough rooms (the right rooms) and services to keep the whole family happy. Secondly, once you get there, you may find that the hotel’s meal schedule doesn’t quite fit you as a family. You may not get rooms close to one another. You may not be able to come and go as easily as you’d like and don’t get us started on all the snacks you’ll have to buy for the kids to eat between mealtimes! Of course, another option is to rent an apartment and cater for yourselves. This way you will have all the flexibility you need when it comes to mealtimes and food preferences, and will likely save money along the way. However, one of the joys of a holiday is having your food cooked for you and not having to worry about cleaning or washing up. After a full day on the slopes, is all this extra effort worth it when all you really want to do is sit back and relax with a vin chaud or two! It’s perhaps unsurprising then, that many families are now opting for catered chalets for their ski getaways rather than a traditional hotel or self-catered apartment. This option allows for increased flexibility whilst also giving you the relaxation and pampering you need when on holiday. When it comes to mealtimes, you will have a truly stress-free experience, catered for by friendly, experienced hosts. Each day you will be woken by a full breakfast and arrive home after skiing to a fresh afternoon tea, children’s supper and an adult evening meal. All of these are cooked within your chalet, giving the whole family delicious high quality home-cooked food served at a convenient time and flexible to your tastes. You can even sit and have a drink whilst your children play in the lounge or head to bed early, knowing that they are still safely near to you. Catered chalets definitely offer a more sociable type of family ski holiday. If you are travelling as one big group with a chalet to yourselves, you are able to put the children to bed and relax with a drink after dinner, safe in the knowledge that you have complete privacy; no-one but yourselves will be in the chalet. Alternatively, if you are staying in a catered chalet with other guests and families, by the end of the week you are sure to have made friends – for both children and adults it can be nice to be able to spend a week getting to know other people that share your passion for skiing and the mountains. In catered chalets, your hosts will also take care of all the cleaning, so you can fully enjoy your holiday experience, without having to worry about clearing up after your kids! These hosts are all well trained and have excellent local knowledge, making them the perfect people to ask for run recommendations or tips on the ski area. Catered chalets mean that the whole family is guaranteed to be close together all under one roof, with living facilities and areas to really make you feel at home. 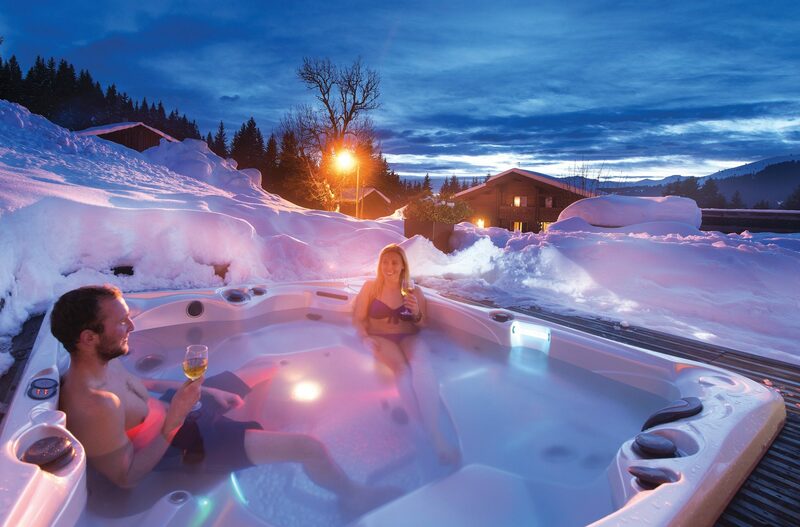 No-one wants to get in from a day’s skiing just to sit in their bedroom until dinner. Here you can put your feet up, enjoy afternoon tea, socialise, read, whatever you fancy. Another huge bonus of catered chalets, especially when travelling with a family-focused tour operator such as Ski Famille, is the option for inclusive childcare. Staffed chalets allow you to combine your childcare with your accommodation, meaning your children will benefit from a home-away-from-home atmosphere. In-chalet childcare allows adults to fully enjoy their time on the mountain, because no matter the age, stage and needs of your child, in-house childcare staff will be on hand to babysit or do ski school runs. This means that you can enjoy your days on the mountain to the full, with knowledge that your children are in safe hands. Staff at Ski Famille are highly qualified, with a genuine passion for the mountains that they love to share with children. They are highly flexible, so whether it’s daytime entertainment or evening babysitting you are after, they can cater to all needs, allowing you to truly enjoy your holiday experience. In essence, a catered chalet provides the best choice for the most flexible, relaxed and enjoyable family ski holidays. No worrying about cooking, cleaning or childcare, simply spending your days enjoying the slopes and your evenings enjoying good food and good company. With tour operators like Ski Famille, catered chalet holidays are tailored to suit you, with flexible staff who are happy to accommodate any last minute changes or preferences. 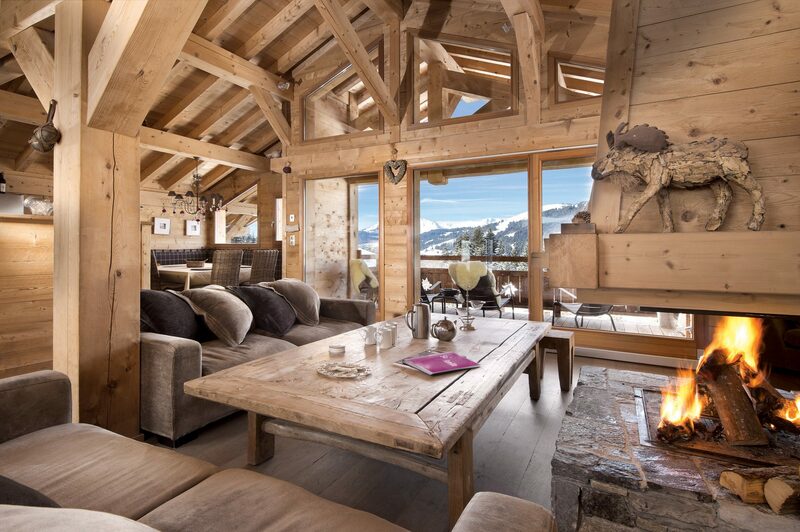 You may think that catered chalets seem like the most expensive option when it comes to ski holidays. However, with most catered chalet holidays being half-board, they provide great value for money. You are sure to never go hungry here. With Ski Famille, adults can enjoy aperitifs, canapés, a three course dinner, coffee and wine (6 nights per week), with a carefully chosen children’s menu to ensure your little ones also get just what they need after their time on the slopes. 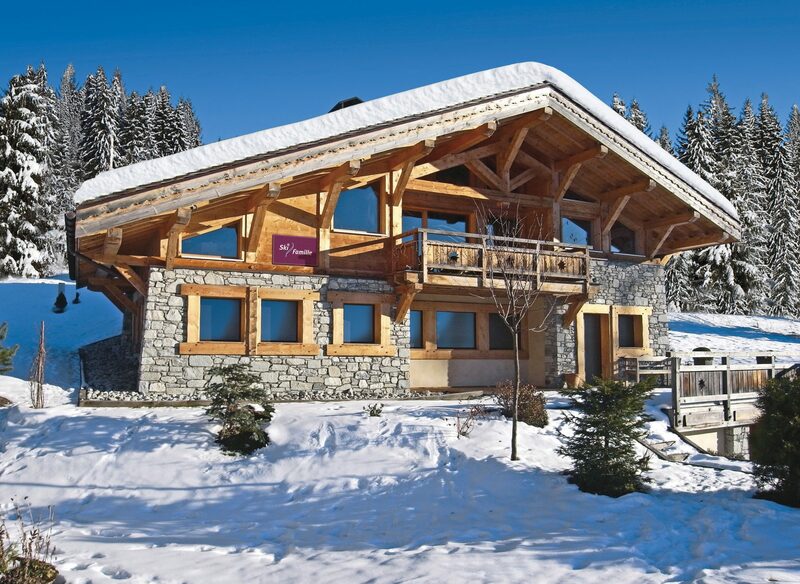 These chalets are often in fantastic locations right on the slopes, with no need for shuttle busses or long walks. Relaxing in your own traditional Alpine chalet, with beautiful clean rooms, children’s areas and home-cooked meals… What could be better for your family’s first ski holiday together? !